A new owner has rejuvenated a landmark Greene County restaurant and inn that offers a panoramic view of five states. Captain’s Inn Point Lookout along Route 23 in East Windham has been in soft-opening mode all summer, as its new proprietor and chef have put the finishing touches on both the building and the menu at the former Point Lookout Mountain Inn and Victorian Rose Restaurant, which closed in the face of bankruptcy and foreclosure two years ago. The new owner, retired U.S. Merchant Marine Capt. Wayne Hamilton, stumbled on the inn while shopping for something else entirely. He was looking for a Catskills spot to operate a pool hall, something he’d enjoyed in Westchester after retiring from the military in 2000. He passed the then-shuttered inn with an auction sign out front. After researching the property, he made an offer, and found himself a first-time restaurant and hotel owner, a career he says he came to well-prepared. “There are a lot of similarities in managing a ship and managing a country inn,” Hamilton said. He has gutted and rebuilt the kitchen and renovated throughout the building, which occupies a site first known as the Inn at Point Lookout in the 1920s. The original building burned down in 1965, was rebuilt, and then went through a series of owners. Hamilton bought it in 2013 from Ron and Laurie Landstrom, who had run it for 11 years. Newly refurbished, the property is now home to a 100-plus-seat dining room, a roomy bar and several decks overlooking the view, which spans the White Mountains of New Hampshire, the Green Mountains of Vermont, the Berkshire Mountains of Massachusetts, the Helderberg Mountains of New York and the Connecticut Valley. 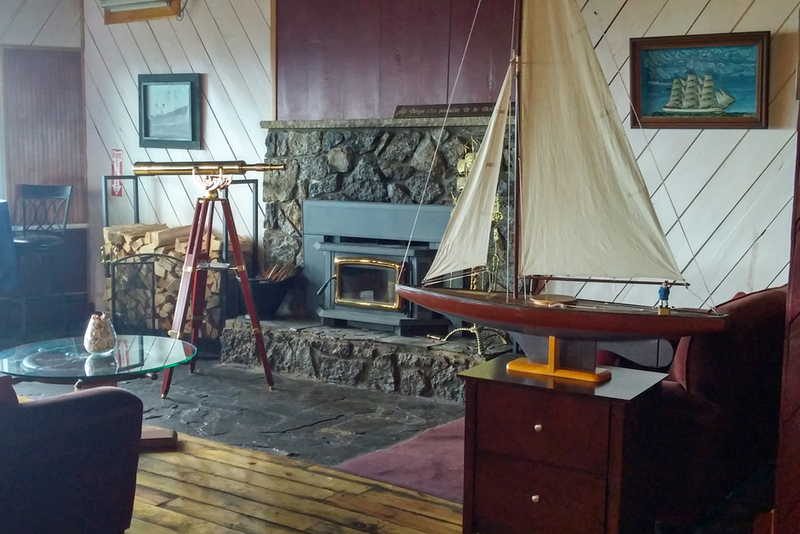 Upstairs, a dozen lodging rooms have also been redone. The restaurant offers a classic American menu built around beef and seafood, with appetizers in the $7-$10 range and entrees around $20. Chef Jay, as he’s known around the restaurant, happens to be the owner’s son, Jason Hamilton, who is trained in both culinary arts and pastry at Johnson & Wales University in Rhode Island. The younger Hamilton worked in restaurants in North Carolina and Florida before diving in to help at the new family business, where his father not only plays host but has also been known to wash dishes. “I do everything but cook,” the elder Hamilton said. Three months in, the most popular items with diners have been the signature seafood mac ‘n’ cheese, seared salmon, lamb shank with white bean casserole and a calamari special that comes with a sweet Thai sauce, Hamilton said. 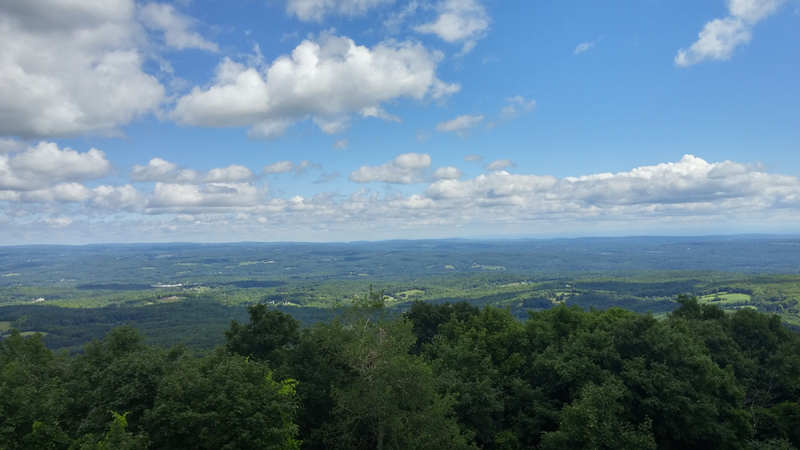 The cliffside setting with its views of Windham High Peak, among other Catskill mountaintops, is a big draw for patrons of both the restaurant and the inn. Hamilton is making plans to welcome takeout customers to an ice cream stand on the premises to share it with even more fans. “Soon, people can just stop by and enjoy the view and eat some ice cream,” he said. Short-term plans are to offer Perry’s brand ice cream; next summer, there will be soft-serve. 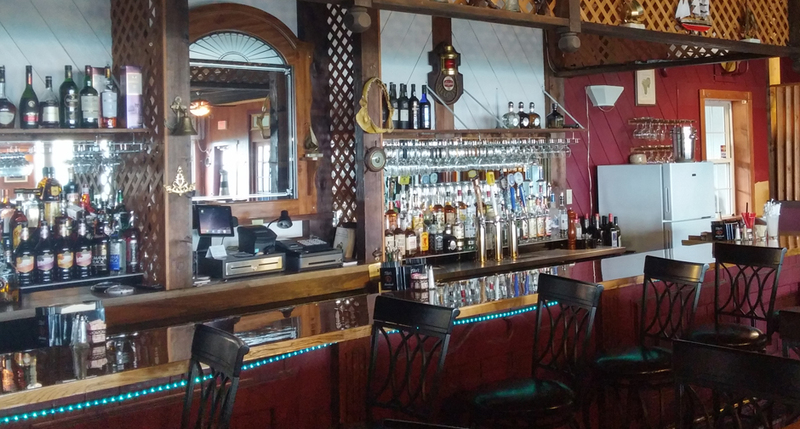 Find Captain’s Inn Point Lookout at 7604 Route 23 in East Windham. It serves dinner Thursday through Monday, from 5 to 10 p.m. Reservations are recommended, especially for window seats: 518-750-8436. Cool! I’ve been curious about this place, just drove by it yesterday. Will have to check it out! Much luck to all of you. I am very happy that this business is re-opened. I am looking forward to a great meal there. 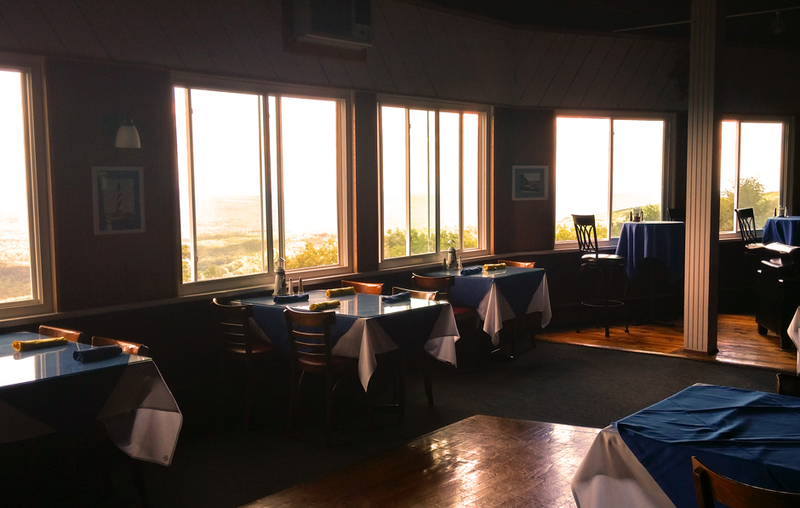 When it was built for Ray French in the 1920s, the original Point Lookout was a tea room, not an inn, as there were no rooms for guests. The building was mostly below road level, so as not to obscure the view. Motorists could stop there for sandwiches, soda and ice cream, and fill up their gas tank. An observation tower was subsequently added, and the building was later enlarged and remodeled to include a souvenir shop. The building and the observation tower were destroyed by fire on October 7, 1966. This is the earliest photo I’ve seen of Point Lookout. Congrats and good luck with the restaurant. My family and I would stop here on our way up from the city when it was Point Lookout. such a beautiful spot for dinner. So happy it reopened. I remember Point Lookout when I was a kid and we would stop there on the way up the mountain. We knew the owners and it was such a fun place to go. Not an inn or fancy restaurant but a place with great food, nice dinners and a spectacular view. You could either dine inside or out. There was a jukebox playing nearly all the time and a gift shop. I knew it when the Kupkas owned it. Love it there. My Dad is Gene Kupka…..He , my Mom, and his parents owned it. A lot of pride in that version of ownership! So nice that you read that. I remember eating there quite frequently and your Kupka rock that we would pass on the way home to our summer home. Your mom, I think her name was Bertha?? was in charge of the souvenir shop – lovely lady. Just an all around nice place. Perhaps we can share memories after the holidays. I remember clearly that the best triple decker sandwich was served there and we would talk about it all year long. Best of luck to you! I am so happy you’re bringing this place back better than ever! Can’t wait to have my anniversary dinner here in October! Best of luck to you, the place has wonderful views,can’t wait to try the food!!! My Dad worked for Mr. French during his High school years…..pumping gas, serving ice cream, and collecting the 10 cents to go up the tower! Mr. French eventually sold the business to Rudy, Bertha Kupka, son Eugene and some to Rita.